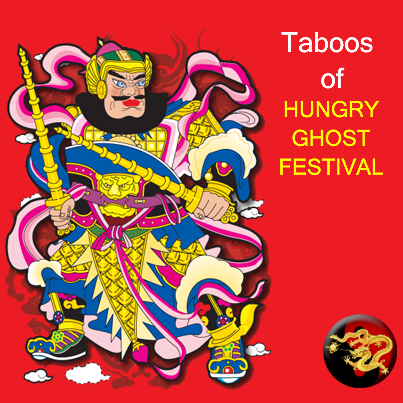 Hungry Ghost festival is an annual occasion that is taken very seriously by Feng Shui practitioners and chinese of Taoist faith. This festival falls on the 7th month of the lunar year, which starts on 22 August 2017 for one full lunar month. During this month the gates of hell are opened to free the hungry ghosts who then wander to seek food on Earth. Some even think that the ghosts would seek revenge on those who had wronged them in their lives. The reason why the Chinese celebrate this festival is to remember their dead family members and pay tribute to them. They also feel that offering food to the deceased appeases them and wards off bad luck. 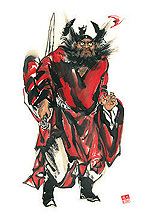 King Yama (the King of Hell) opens the gates of hell and allows all ghosts to roam the world and enjoy the sacrifices of the seventh lunar month.The dead would return to visit their living relatives during the 7th month of the Chinese Lunar year and thus the living people would prepare sumptuous meals for the hungry ghosts. The ghosts attack their enemies, and they might be angry or malicious in general. The Chinese feel that they have to satisfy the ghosts in order to get good fortune and luck in their lives. During this festival, the Chinese offer prayers to the deceased relatives, burn paper money, paper houses, paper transportation, paper accessories and joss sticks massively to their ancestors as well as wandering spirits in front of their homes. Families also pay tribute to other unknown wandering ghosts so that these homeless souls do not intrude on their lives and bring misfortune. Giving the ghost such necessities would enable them to live comfortably when they go back their own world. In Hong Kong, Malaysia and Singapore, it is a common sight to see entertaining Chinese Opera shows performed on outdoor stages in many neighborhoods. There are street ceremonies, market ceremonies, and temple ceremonies. During street and market ceremonies, people gather at the streets and markets to celebrate the festival. At temple ceremonies, monks in temples organize festive activities. Individuals at home can spin the Prayer Wheel to liberate the souls of your ancestors. Many believe it is important to appease the ghosts to avoid spiritual attack. These events are always held at night. Such entertainment would please those wandering ghosts that comes to earth once a year. The gates are closed on the last day of that lunar month, and the wild, hungry ghosts return to hell. 1. Avoid swimming during the 7th month. It is believed that those previously drowned evil ghost might cause you to drown in the swimming pool. Such ghost need to find victims in order for them to be go for rebirth. 2. Children and young adults are also advised to return home early and not to wander around alone at night. This belief is due to the reason that the wandering ghosts can possess children easily. 4. Avoid getting married during this month because couples will have bad ending. Some bad ghost may cast a bad spell on couples during their wedding. 6. Drive very carefully during this month to avoid accidents, as there may be many wandering spirits who died of accidents previously that are searching for next victims so that they could be reincarnated. 7. Protect your entrances with the genuine Peachwood Sword. This is the most excellent protector of ghost and evil spirits, claimed by many of our customers. 8. Avoid starting any construction work or engaging in renovation repairs at home such as fixing a tile or banging the floor and wall for the entire month. 9. Avoid spitting and blowing your nose in the street or at any tree/plant. 10. Do not leave open wounds unattended as this will attract ghosts in following you home. Keep them plastered at all times. 11. Do not make negative comments or crack jokes about offering items in the streets or poke fun about chinese opera seen with empty chairs of chinese communities. Those chairs are for the ghosts. 12. Do not pick up anything including money found on the street and never bring it home. 13. Avoid getting emotional and crying in the middle of the night. A weak, sad and emotional mind gives ghosts the opportunity to possess you and harm you. 14. Do not whistle after the sun set. This will attract the attention of ghosts that may stick to you for a long time giving your a spate of long term bad luck. 15. Keep away from the walls as it is believed that ghosts like sticking to walls. 16. If you are born during the ghost month, avoid celebrating your birthday at night and blowing your cake. It's better to celebrate during the daytime. 1. Provide a respectful knock on the bedroom door before you enter for the first time. 2. Avoid entering the room right away. Whisper to yourself that you are renting the room to stay temporarily, as a form of asking permission. Let any spirit leave the bedroom first before you enter. 3. Place your pair of shoes or sandals facing the door. The shoes must be away from the bed. One side of the shoe points to the door and the other side point inwards. 4. Display a glass of salt water next to your bed. Salt is an excellent antidote for dirty energy. 5. You are encouraged to flush the toilet bowl first before using it. 6. You are also encouraged to avoid wearing black or striking red colored clothings. 7. Normally there is a bible or quran in the drawers. Please avoid touching or moving them from their original positions. 8. Always keep the toilet's door closed with lights turned off when you go to sleep. 9. Try to avoid facing the mirror when you sleep. If the mirror is designed in this manner, try to cover it with a towel. 10. Avoid placing any shoe next to the bed when sleeping. 11. Watch out the mouth from mentioning anything about ghost. Ghost story telling must be avoided by all means. 12. Display a 7 Star Sword made from Peach wood. It must be made from "genuine peach wood" to be effective in chasing away ghosts and protecting one with a good night's sleep. 1. During the Ghost Festival, feng shui practitioners will display the Chung Kwei, the ghost catcher whose specialty is to devour the ghosts that he catches, in many areas of their homes. The other powerful deity who can vanish wondering ghosts will be Kwan Kung. And at least one of the images must face the entrance (door or window). This act serves to scare away any roving spirits from intruding the particular household. As such the whole family will be able to avoid ghost spells. 2. Ghosts enter through entrances such as the maindoor, side door or back door. For thousands of years, the most powerful door protector of doors are the Door Gods. No spirit of the darker realm is able to bypass the Door Gods. Apart from that, Fu Dogs are also potent feng shui animals that when displayed at the maindoors or in its vicinity facing out would scare away bad wandering spirits and ghosts. They usually work hand in hand with the Door Gods. 3. Wear protective amulets to prevent bad luck, ghost possessions and accidents due to ghost disturbances. 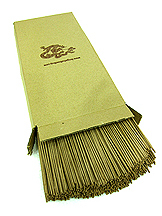 One such powerful type of bead that is currently very popular is the Dorje Dzi. 4. 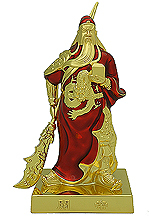 Taoist practitioners can choose to carry along the powerful Kwan Kung amulet for protection. No evil dares to fool around when the Kwan Kung is there. 5. For those who are travelling afar, going for late nights or regularly visiting yin places, the Chung Kwei amulet is an excellent protection. You are being easily targeted or harmed by suicide ghosts who are looking for chances to reincarnate. 6. Hang the 8 Auspicious Objects at chi entry points of your house such as windows to deflect away any evil energy. Also hang one of it in your car to prevent accidents. For taoist feng shui practitioners, you may opt for the Elliptical Coin and hang on the door knobs of all entries you want to protect. Some would even go for higher form of protection with the bagua hung above their maindoor. 7. Carry along, hang in the car or in the house the powerful Peach Wood 7-Stars Sword. It is the most indispensible tool for Taoist Exorcism from ancient times till today. 8. Families should burn at least a bunch of incense sticks in an empty can (cleanly washed from used food can) on the 14th day of 7th lunar month. This should be done after 7pm and the burning of the incense sticks are to be done outdoor, close to the main entrance.